Thank you for checking out this book by Theophania Publishing. We appreciate your business and look forward to serving you soon. We have thousands of titles available, and we invite you to search for us by name, contact us via our website, or download our most recent catalogues. 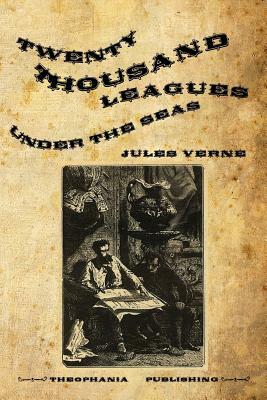 Twenty Thousand Leagues Under the Seas An Underwater Tour of the World JULES VERNE Translated from the Original French by F. P. Walter A complete, unabridged translation of Vingt milles lieues sous les mers by Jules Verne, based on the original French texts published in Paris by J. Hetzel et Cie. over the period 1869-71.